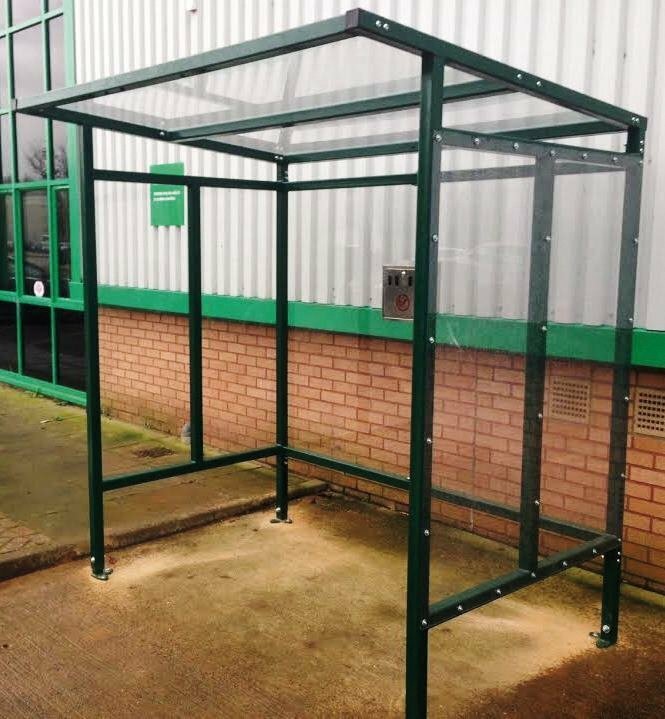 These flat roof smoking shelters are designed to maximise value for money. The no frills functional flat roof design is practical and cost effective. 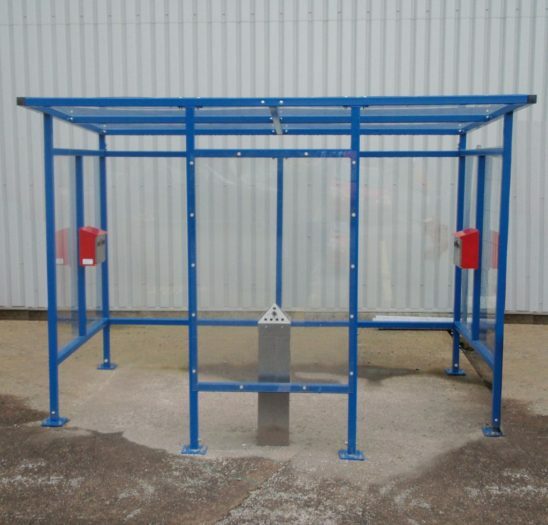 Perfectly suited to use as a smoking or waiting shelter, these shelters benefit from an optional front panel to further protect occupants from the elements. If a front panel is used and the shelter is for smoking purposes the side glazing can be reduced to ensure compliance with UK smoking shelter law. Fire Rated PETg UV cladding.